The Galloway Cattle Society is looking for two young people to send on a once in a lifetime learning journey to Australia. The prize is a trip to the Galloway World Congress, taking place in Melbourne from 28th September to 3rd October this year. 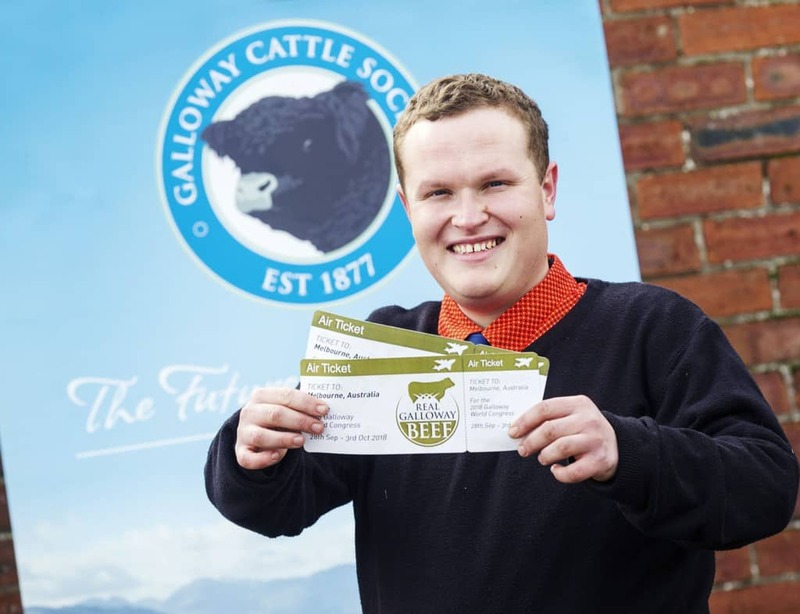 The learning journey competition is being run as part of the Society’s Defining Galloway Beef project during Scotland’s Year of Young People, and the project is part funded by Dumfries and Galloway’s LEADER programme. “Dumfries & Galloway might be the home of the Galloway but the popularity of the breed is global and we’re keen to unlock that international learning and experience of this breed and bring it back to Scotland to inspire and educate young people within our industry. The competition is open to any young person aged between 18-30 years who is actively working within the farming or beef supply chain industries. Application forms are available from the Society who can be contacted on info@gallowaycattlesociety.co.uk.